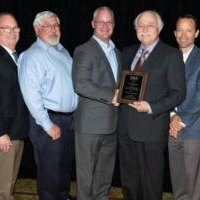 The Yuba Goldfields 100-year Interim Flood Control Project was awarded the Outstanding Small Project of the Year on Thursday, April 12th at the ASCE Sacramento Section Project Awards. Congratulations to Paul Brunner, Executive Director of the Three Rivers Levee Improvement Authority (TRLIA), for orchestrating the team in accomplishing this milestone. 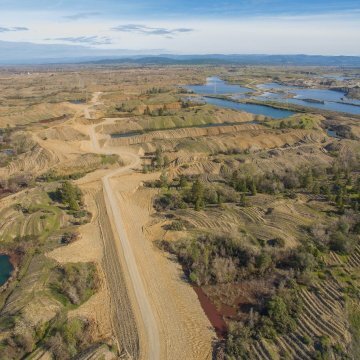 ENGEO and MBK worked with TRLIA to develop the 100-year embankment constructed of local dredge tailings and a monitoring program for tailings mounds along the Yuba River. An approximately 2-mile-long continuous embankment within the Goldfields was constructed in just 3 months by 4-M Construction Co. by moving 260,000 cubic yards of existing dredge tailing materials. Construction management was performed by the Handen Co. and ENGEO provided continuous quality control during fill placement. The Goldfields 100-year Interim Flood Control Project was a creative solution in a very dynamic environment involving active mining. TRLIA used local funds to design the project, obtain environmental clearances, negotiate agreements with the mining companies to allow project construction on their properties, and construct the project expeditiously. The embankment, constructed with local dredge tailings, was designed and optimized using geotechnical seepage and stability analyses based on subsurface data collected in various locations throughout the Goldfields. 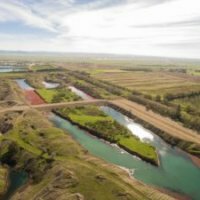 The embankment alignment was optimized to reduce impacts to future mining, reduce earthwork quantities, and avoid environmental impacts. These efforts resulted in a very low-cost project that could be constructed quickly to reduce flood risk to South Yuba County communities and avoid the loss of FEMA Accreditation.